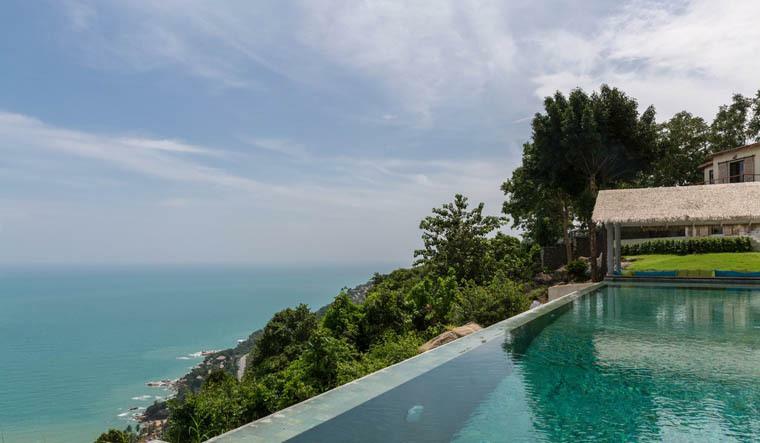 The villa is the only villa located on Chaweng beach. Chaweng is the, biggest , busiest and most popular beach on Koh Samui. This beach is what made Samui famous and was the first area to develop. 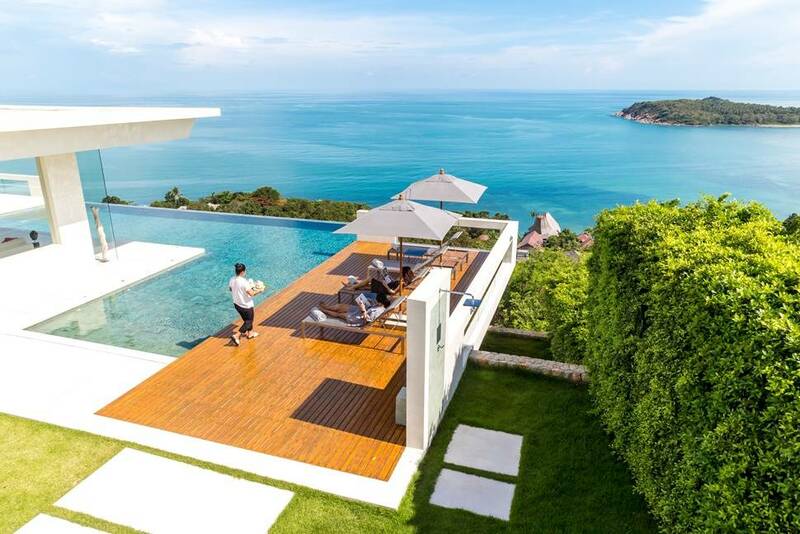 it is now the epi-center of Koh Samui, with the best restaurants, cafes and shops on the island, this is also the place to be to experience the nightlife of Samui. 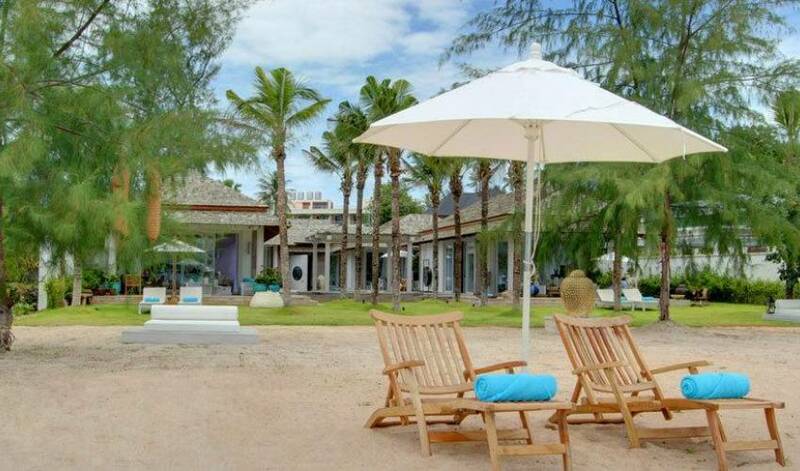 Chaweng has a lovely 4km long white sand beach with many coconut trees alongside of it. 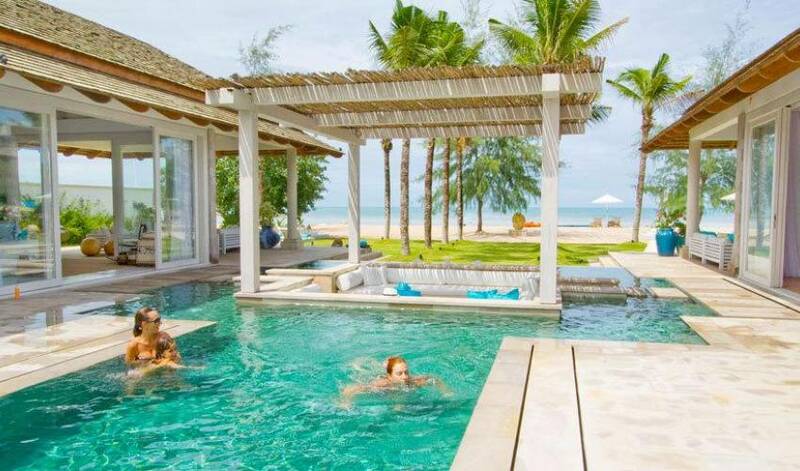 Since the beach faces East it is a great place to relax on afternoons when the coconut trees provide shade from the hot sun, all from the comfort of a trully contempoary and luxurious villa, which is destined to be one of the most sort after villas on the Island. Chaweng offers all the allure and magic of a truly vibrant nightlife with a spectacular variety of restaurants, night clubs, bars, discotheques, cocktail lounges and cabarets. 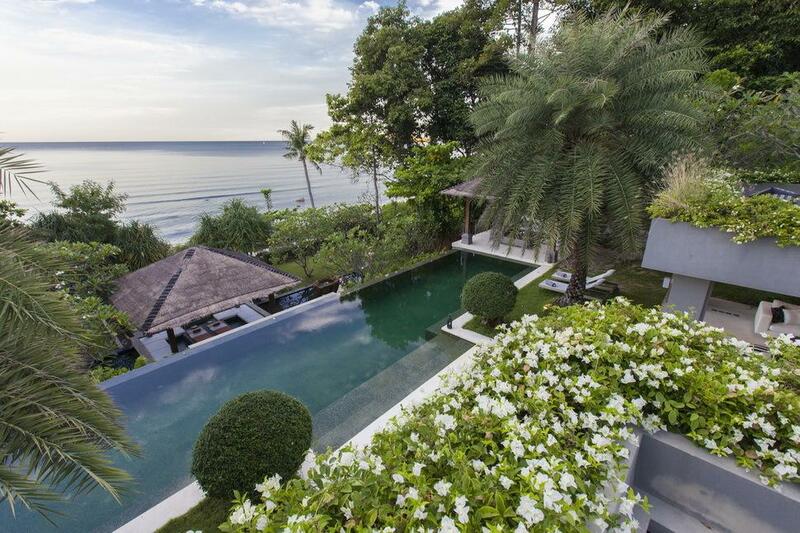 Although located in Chaweng beach the villa offers all the necessary privacy and relaxation you could ever ask for. * 23m lap pool with integrated sunken lounge and kids' paddling pool. * Complimentary ADSL internet connection; WiFi throughout. * Fully furnished, including linen and towels. 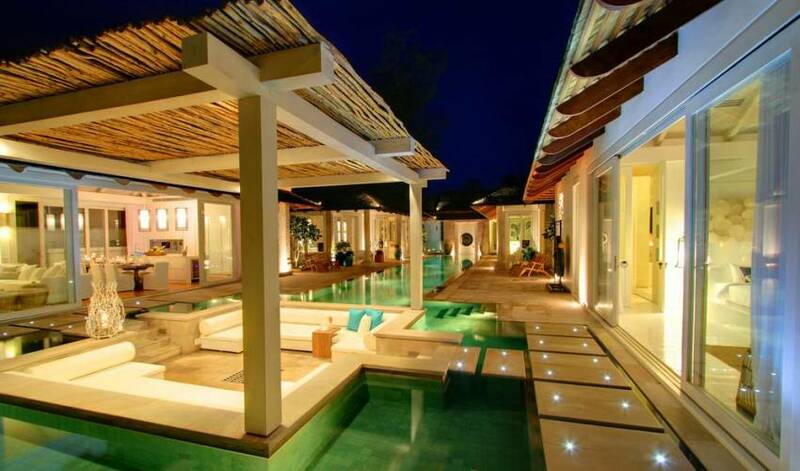 * Expansive indoor and outdoor lounges. 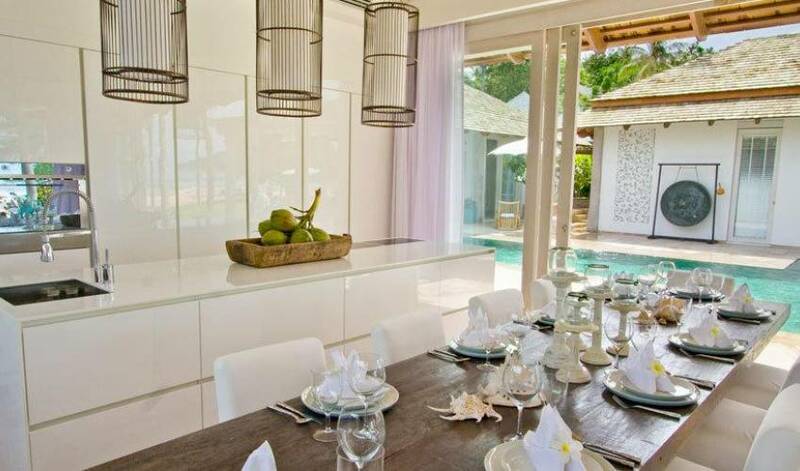 * Indoor and outdoor dining areas. 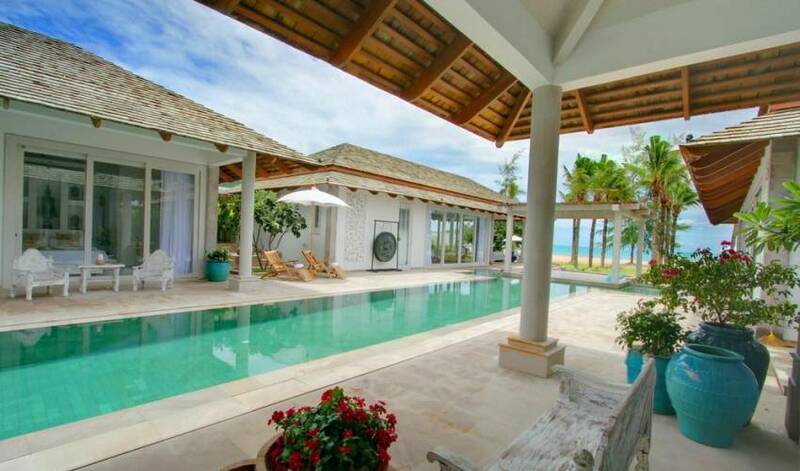 * 5 en-suite air-conditioned master bedrooms with double beds. * All bedrooms with TV, and DVD. * Safety box and mini-bar in all bedrooms. * Indoor and outdoor sound system. * Indoor and outdoor kitchens. * Team of staff, including manager and chef. * A cot can be provided on request, free of charge. 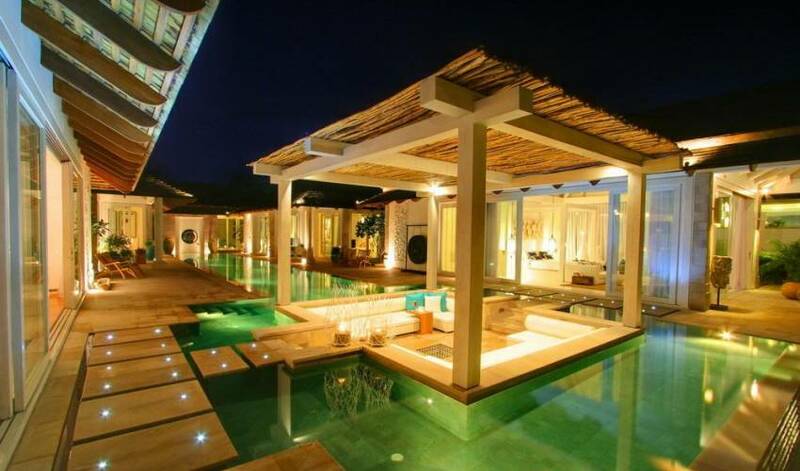 * Living on site, the villa manager and staff are available to cater to your every need. * Bed linen is changed every third day. * Pool and bath towels are provided and changed as required. * Concierge service for all tours and activities, including boat charters. * Car hire with or without driver. * Baby sitting service on request, subject to availability. * In-villa massage and spa treatment. 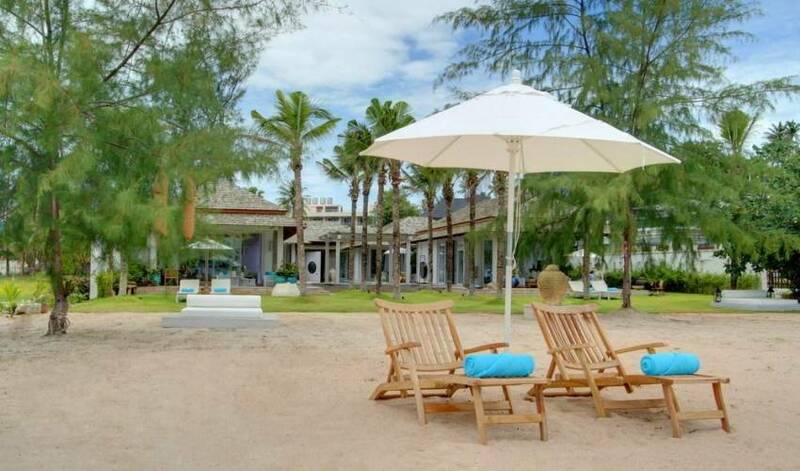 Chareng Beach Front, the heart of Koh Samui.